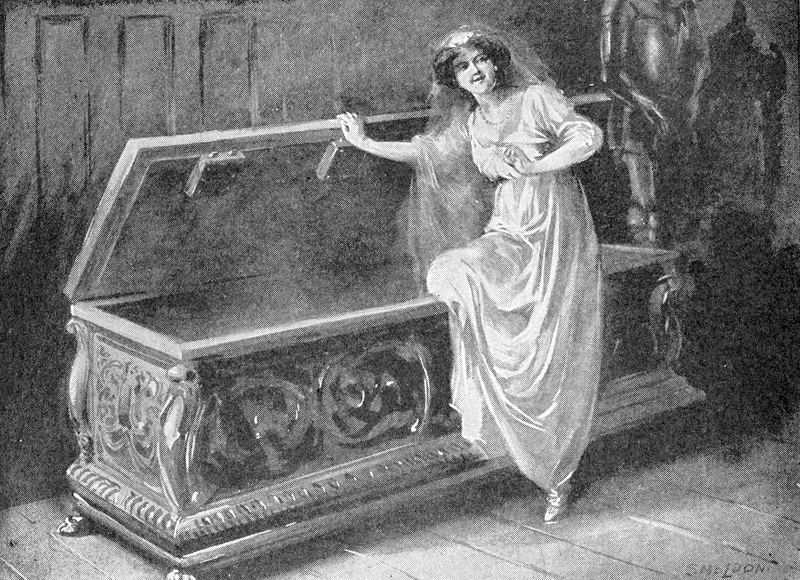 An odd death superstition involves bees. It originated in Europe and then was brought to America. In the 19th century, this custom spread from New England to the edge of the Appalachia. 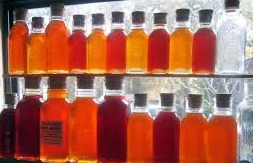 It involved people “telling the bees” when their beekeeper died. 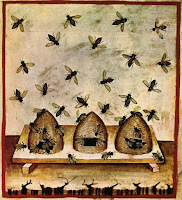 This superstition even included telling the bees when one of the keeper’s family members died. 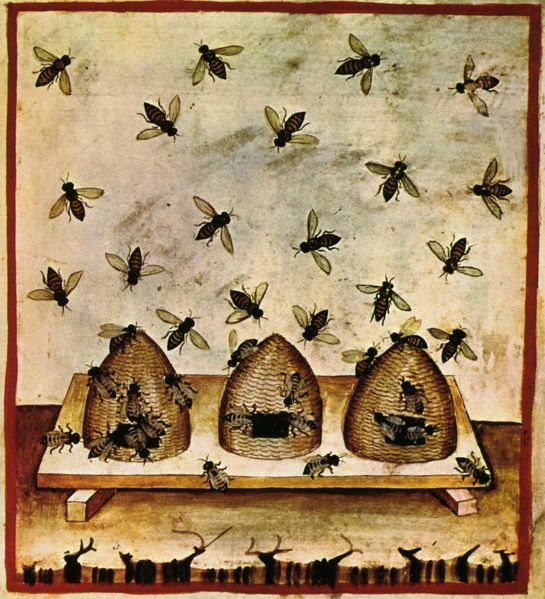 It was believed if the bees were not told they would die or leave their hives in search of a new home. This was an economic loss that family’s who kept bees were not willing to risk for honey was a valuable commodity. So these families went out of their way to protect their hives--which included the following customs. When someone died a person was sent to inform the bees of this death. 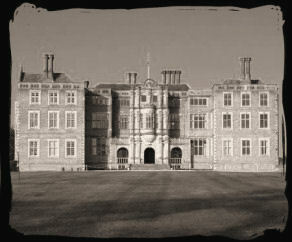 They would then drape the hive in black crepe. In some instances, funeral cake or wine was left out for the bees to enjoy. Many families even pinned an “invitation” to the funeral on the hive. they were not told. These incidents are well documented. Here are just a few. In 1894, during a funeral being held in a church, the mourners noticed swarming bees. 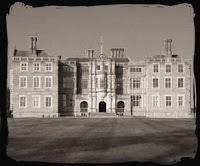 A pallbearer was stung on the neck and the Undertaker was attacked viciously. When the procession headed for the graveyard the bees followed. Many of the mourners left afraid they would also be stung. 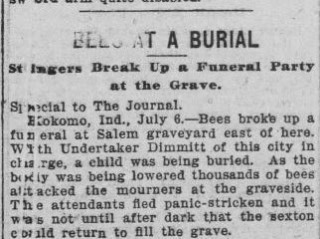 In 1901, a graveside service for a deceased Indiana child turned into a scene of panic when the mourners were attacked by thousands of bees as the coffin was lowered into the ground. The grave could not be covered until that night when it was safer. 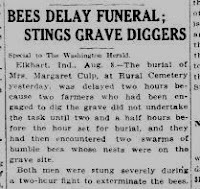 Margaret Culp’s funeral in 1916 was delayed when farmers scheduled to dig her grave where “stung severely” by bees. At the turn of the century, during a funeral for Josh Simms in Kentucky flowers were placed on his grave as it was being covered. 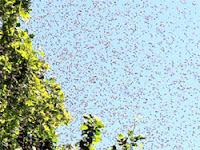 Mourners then watched as a huge swarm of bees landed on the gravesite. They then stung many mourners who had remained behind. 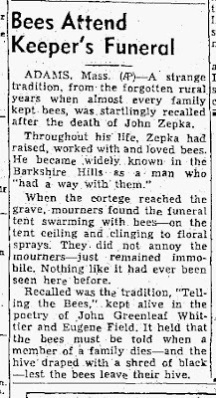 All these funerals have something in common—the deceased was either a beekeeper or was a relative of one. The bees had not been told there was a death in the family—and when the hives were checked afterward they were abandoned. John Greenleaf Whittier entitled, Telling the Bees. Here is just the last part of this poem. Here is a link to the entire poem. 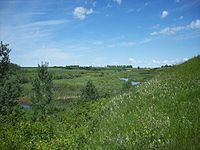 In Canada there is a beautiful valley that stretches east to west across one third of the Sashatchewan province. This valley called Qu’Appelle was in ancient times a glacial spillway but today is a popular spot for tourists who love the outdoors. The first white settlers to this area in 1804 where fur traders and the North West Company. One of these metis trappers was David Harmon who passed on a legend that the First Nation Crees told him in the 19th century of how the valley got its name. The Cree call the valley “Katepwet” which was later translated into French “Qu'Appelle” which was the language the trappers spoke. 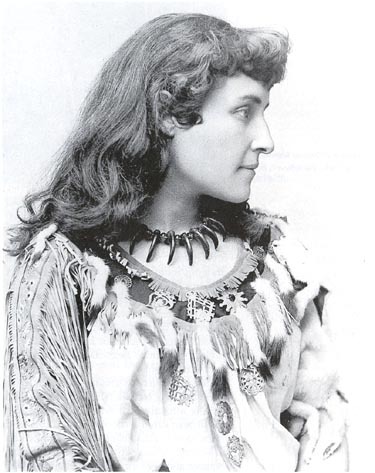 This name comes from the legend the Cree First Nation people recounted to Harmon. This legend was then immortalized in a poem written by E. Pauline Johnson entitled, The Legend of the Qu’Appelle Valley. The First Nation Indians whom believe in spirits believe this story is true. This legend tells of a young Cree Indian brave who canoeing home from a hunt hears a voice call his name just as the moon rises in the east. 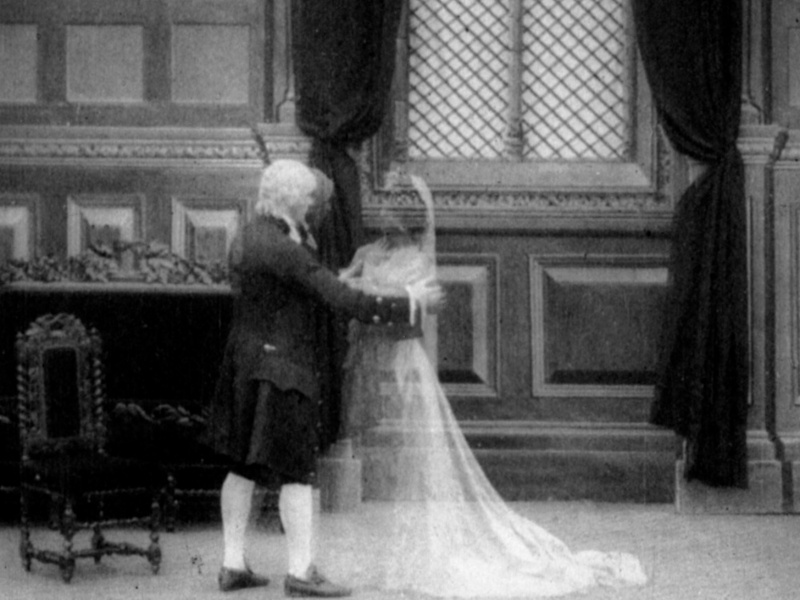 The next day he reaches his home only to find the beautiful young maiden he was to marry had died the evening before. He was told with her dying breath she had called his name twice. He asked when and was told she called his name just as the moon arose. So it was her voice he had heard. 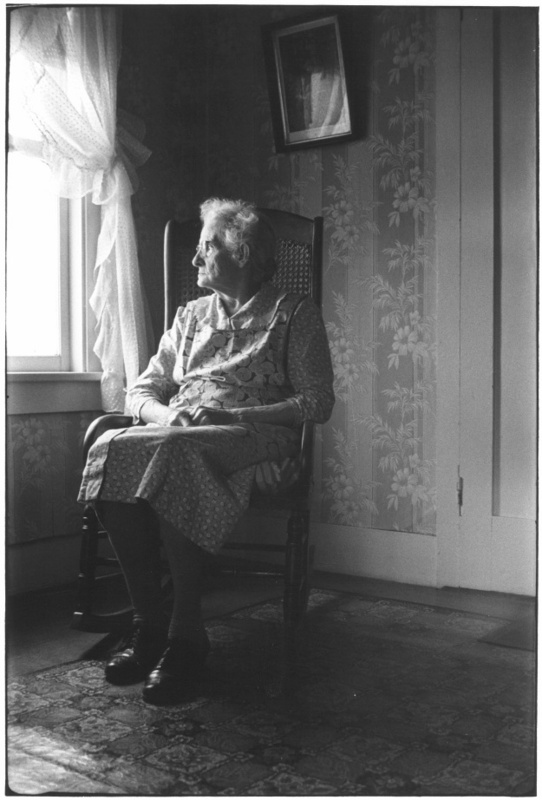 Even today many claim to have heard as the moonrises the dying young woman’s call on the wind. Here is the first stanza of Johnson’s poem. 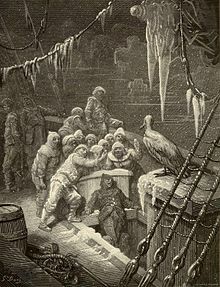 An English poet, Samuel Coleridge wrote a poem in 1798 entitled, “The Rime of the Ancient Mariner.” Experts have picked apart and overanalyzed this poem for two centuries. Christians state this poem is one of redemption where through prayer man becomes closer to God. Scientists state this poem reflects the higher power of the physical or natural world, which dominants man. Others state it is a tale of crime and punishment. Coleridge’s poem does reflect the elements above but from a spiritual perspective, this poem has two realms, one being reason and the other imagination. 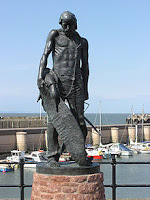 Coleridge’s assigns his main character the “Ancient Mariner” the role of storyteller. 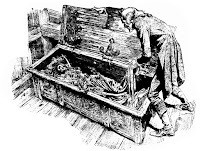 This mariner is doomed to share his tale with those who will listen. He imparts or teaches a moral lesson that cannot be ignored--describing his own terrible misdeed-- he warns that man must not forsake the spiritual or natural world for the pursuit of pleasure. His tale is poignant for his mistake caused the agonizing deaths of 200 souls. In retribution, he wanders the earth telling his tale of woe as a warning. Side by side with this theme is a very compelling story that entertains and draws the reader in. 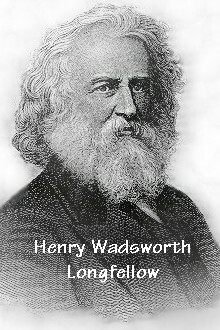 Coleridge uses old-fashioned spelling, the ancient belief that “gods” have the power to meddle in men's lives and the sense that this tale was passed down through the generations. He used these devices to ingeniously give the reader the flavor of bygone days. 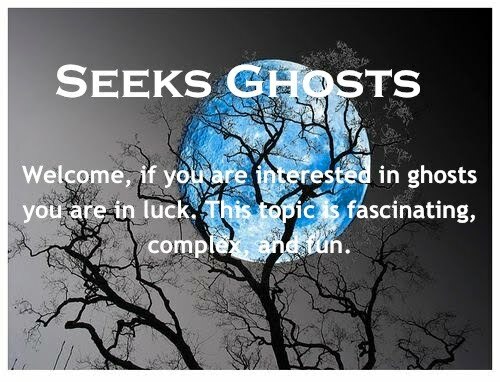 But it is the supernatural elements in his poem that attract many readers. 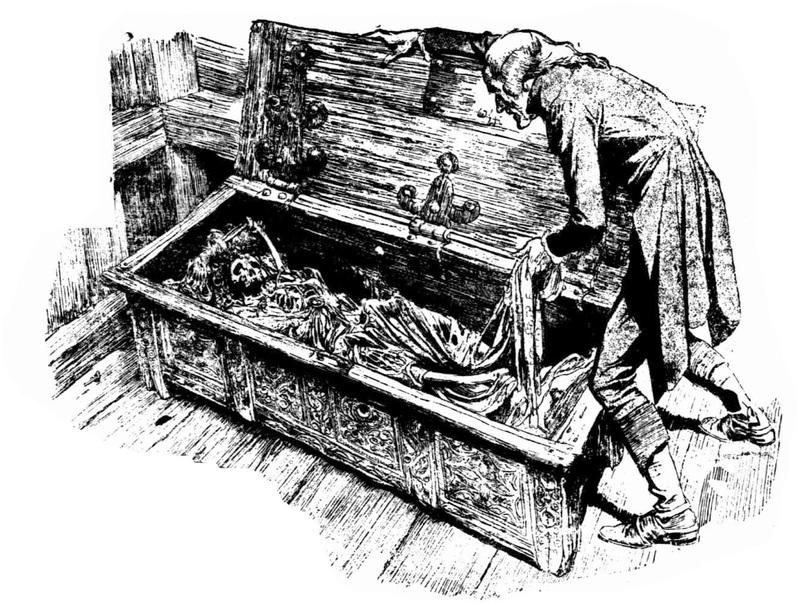 For the "Rime of the Ancient Mariner" is a tale of superstitions, curses, ghosts, and a ghost ship. This angers the crew for they believed this albatross had bought the south wind that led them out of danger. But they soon forget their ire as the weather warms. “The many men, so beautiful! Like lead into the sea”. 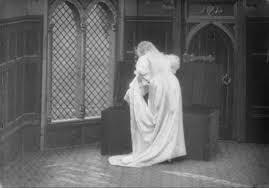 In the end, the “Wedding Guest” wiser for the telling finds himself sad and pondering his own life. * One standard idea or saying taken from this poem is to have an “albatross around your neck.” This means you have a constant reminder of a mistake you made. Samuel Coleridge’s poem was not well received in the late 1700s. 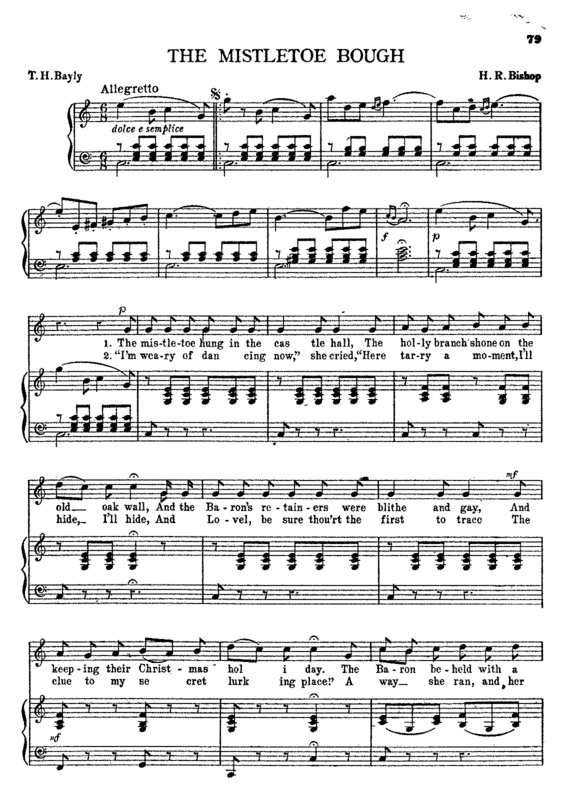 But today, parts of this poem are found in every form of popular culture. Books, games, comics, music, film, television and even the military all reference "The Rime of the Ancient Mariner." The recent film, Life of Pi uses many elements from this poem in its storyline.